In a distant future, eighteen-year-old Lugh is kidnapped, and while his twin sister Saba and nine-year-old Emmi are trailing him across bleak Sandsea they are captured too, and taken to brutal Hopetown, where Saba is forced to be a cage fighter until new friends help plan an escape. Brilliant fifteen-year-old Josie has a knack for languages, but her sister's engagement has Josie grappling with the nature of true love, her feelings for her best friend Stu, and how anyone can be truly herself, or truly in love, in a social language that is not her own. Struggling with his father's high expectations and his own feelings of inadequacy, Tate steals one of his father's odd tech inventions only to be targeted by mercenaries who kill his father and force Tate to protect the invention from alien adversaries. Carter Moon is expecting to spend a quiet summer working in her parents' restaurant and hanging out with her best friends Alien Drake and Chloe--but when a Hollywood company arrives to film a movie, her sleepy California town is suddenly transformed, and Carter finds herself playing an unexpected part in it all. Fifteen-year-old Carl Adams awakens beside his drowned brother, unable to remember anything about himself, the incident, or the girl who rides with him in the ambulance. Charlotte is a sixteen-year-old Oracle who is not supposed to interfere with her visions of the future, but when she foresees a classmate's murder, she realizes she must break the rules to stop the killer. A unique romance novel prompts readers to choose how to proceed with the plot, leading them to one of 11 different love interests and 13 possible endings. 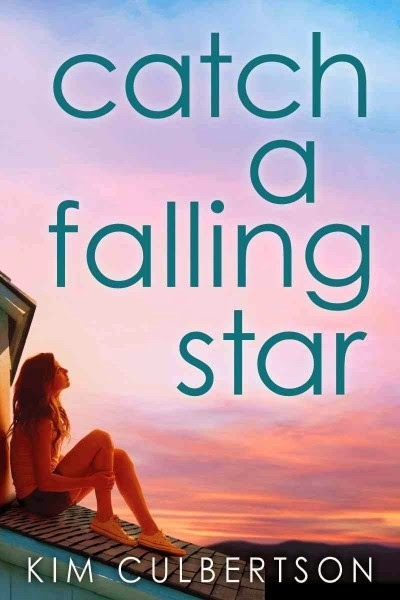 As the first anniversary of her best friend Kim's death nears, fourteen-year-old Emmy tries to fulfill her promise to make contact with Kim's spirit, but she gains new perspective from unexpected connections. The biggest night of their high school lives proves to be surprising for three teens in a collection of novellas that includes Dona Sarkar's "Haute Date," Caridad Ferrer's "Save the Last Dance" and Diedre Berry's "Prom and Circumstance." The fifteen-year-long war between man and dragons seems nearly over until Melissa becomes an unwilling pawn of the government after she--and those driving the beasts to extinction--discover that she can communicate with dragons. When some quirky art donated to a school fundraising effort to help a Pakistani American family, victims of a possible hate crime, is revealed to be an unknown work by a famous outsider artist, worth hundreds of thousands of dollars, adults and teenagersalike debate who should get the money and begin to question each other's motivations. High school student Alex Winchester struggles to hold her life together in the face of her mother's threatening delusions about being Amelia Earhart. As she begins her first year of high school, fifteen-year-old Imogene is embarrassed by the blog her mother writes that has included every detail of Imogene's life since she was born. A lighthearted take-off of "The Night Before Christmas" celebrates milestones on the road to college, from campus tours and SATs to dreaded essays and the grueling process of receiving acceptances and rejections. 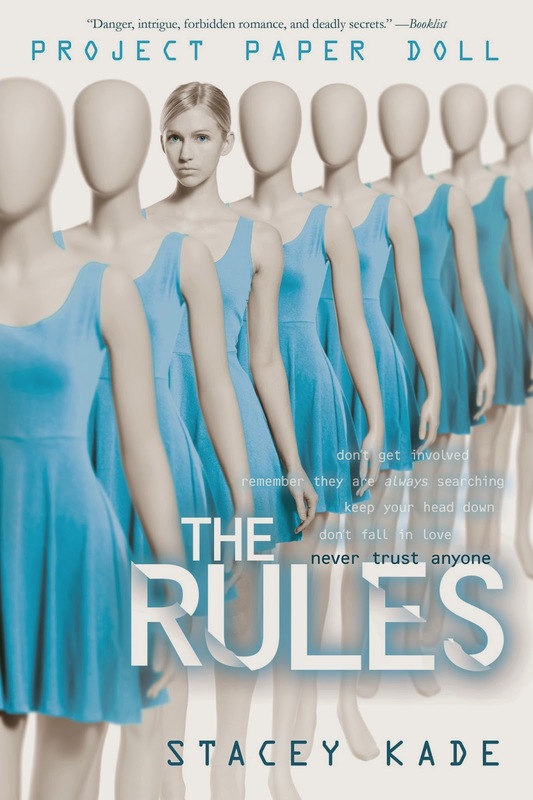 At sixteen, Ariane Tucker has been careful to elude those seeking her since her escape from a genetics lab ten years earlier, but the attention of classmate Zane, both frightening and intoxicating, tempts her to risk violating at least one of her adoptive father's five simple rules. Born a rare human child into a world of sophisticated child androids that were created to counter a decline in global fertility, Tania records in her diary her efforts to learn about teknoid technologies when her best friend begins exhibiting bizarre behavior. Summer has finally arrived and fifteen-year-old Harper McCallister intends to spend her days at the mall shopping or by the pool at her country club. But after receiving her latest heart-stopping credit card bill, Harper's parents makes other plans, and ship her off to camp. After her family is killed, Spirit White is taken to Oakhurst Academy, a combination orphanage and school for those with magical powers, where she and her new friends investigate when students start mysteriously disappearing. An imaginative retelling of Jane Austen's Persuasion is set in modern-day Los Angeles and finds 17-year-old Anna Eliot hoping for a second chance at love with a boy who returns three years after she broke his heart. Overwhelmed by grief and guilt after his twin sister Grace's accidental death, seventeen-year-old Mark Santos is persuaded by her best friend to complete the "bucket list" from Grace's journal. A shy, overweight, and insecure girl named Colby finds her place in a family of extroverted politicians, beauty queens, and other cookie-cut personalities. 17-year-old Gwen Castle is a working-class girl determined to escape her small island town, but when rich-kid Cass Somers, with whom she has a complicated romantic history, shows up, she's forced to reassess her feelings about her loving, complex family, her lifelong best friends, her wealthy employer, the place she lives, and the boy she can't admit she loves. Awarded one of the military's highest honors for her role in a rescue attempt, Jarra, a scorned "ape throwback" whose disabled immune system cannot survive on other planets, becomes the world's primary defender against an alien threat. Sparks fly when sixteen-year-old Lucy Patterson and seventeen-year-old Owen Buckley meet on an elevator rendered useless by a New York City blackout. 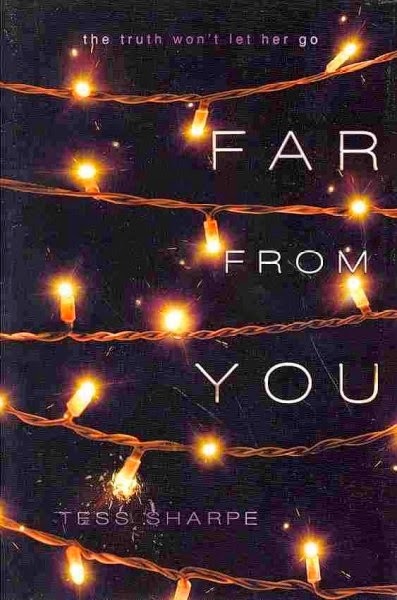 Soon after, the two teenagers leave the city, but as they travel farther away from each other geographically, they stay connected emotionally, in this story set over the course of one year. Documents a high school student's year-long attempt to change her social status from that of a misfit to a member of the "in" crowd by following advice in a 1950s popularity guide, an experiment that triggered embarrassment, humor and unexpected surprises. Allison Sekemoto survives in the Fringe, the outermost circle of a vampire city, until she too becomes an immortal vampire. Forced to flee into the unknown, outside her city walls, she joins a ragged band of humans who are seeking a legend -- a possible cure to the disease that killed off most of humankind and created the rabids, the mindless creatures who threaten humans and vampires alike. After sheltering an injured boy from a typhoon, gifted ecology student Shion finds his life thrown into chaos as he begins to discover the appalling secrets behind the superficial perfection of No. 6, the computerized metropolis he calls home. Invites the reader to participate in the high-stakes social scene of Kings Academy, an elite boarding school where fitting in may require selling one's soul. Seventeen-year-old Josephine Hemlock has spent her life hiding the fact that she's a witch--but when the mysterious Curse that killed her mother returns, she might not be able to keep her magical and normal lives separate. Follows seventeen-year-old Reagan as she tries to escape heartbreak and a bad reputation by going on tour with her country superstar best friend--only to find more trouble as she falls for the surprisingly sweet guy hired to pose as the singer's boyfriend. Seventeen-year-old Sam seems to have everything until she and her best friend, Cassie, disappear one night and now Sam has returned with amnesia, striving to be a much better person and aware that her not remembering may be the only thing keeping Cassie alive. In a world where science and magic coexist, Mikoto Misaka, who has strong psychic powers, and her friends investigate the darker side of their society, Academy City, and discover some unpleasant truths. When a sleazy reality television show takes over Ethan's arts academy, he and his friends concoct an artsy plan to take it down. Living in a Brooklyn Hasidic community in the early 1990s, Chanie Altman anticipates marriage as soon as she graduates from seminary, a path challenged by her dream of becoming an opera singer, a taboo friendship, and the Crown Heights riots. After dying at age sixteen, Travis Coates' head was removed and frozen for five years before being attached to another body, and now the old Travis and the new must find a way to coexist while figuring out changes in his relationships. Taking refuge among other teens who are in hiding from a government that considers their supernatural powers a threat, Ashala covertly practices her abilities only to be betrayed, captured and interrogated for information about the location of her friends. After thirteen-year-old Tucker Feye's parents disappear, he suspects that the strange disks of shimmering air that he keeps seeing are somehow involved, and when he steps inside of one he is whisked on a time-twisting journey trailed by a shadowy sect of priests and haunted by ghostlike figures. Seventeen-year-old Karou, a lovely, enigmatic art student in Prague, carries a sketchbook of hideous, frightening monsters--the chimaerae who form the only family she has ever known. After Sophie Winters survives a brutal attack in which her best friend, Mina, is murdered, she sets out to find the killer. At the same time she must prove she is free of her past Oxy addiction and in no way to blame for Mina's death. When Princess Nakaba is forced to marry Prince Caesar in order to promote peace between their two warring kingdoms, she struggles to adjust to her hostile surroundings with the help of her dog-like Ajin companion, Loki. Five orphaned teenagers, the offspring of a terrorist witch coven known as Moonset, struggle against the destructive legacy left by their parents. In the future, when the Earth is no longer easily habitable, seventeen-year-old Tora Reynolds, a girl in hiding, struggles to protect weapons developed by her father that could lead to disaster should they fall into the wrong hands.